The hit franchise series is back with another delicious instalment full of college nostalgia and mouth watering foods. 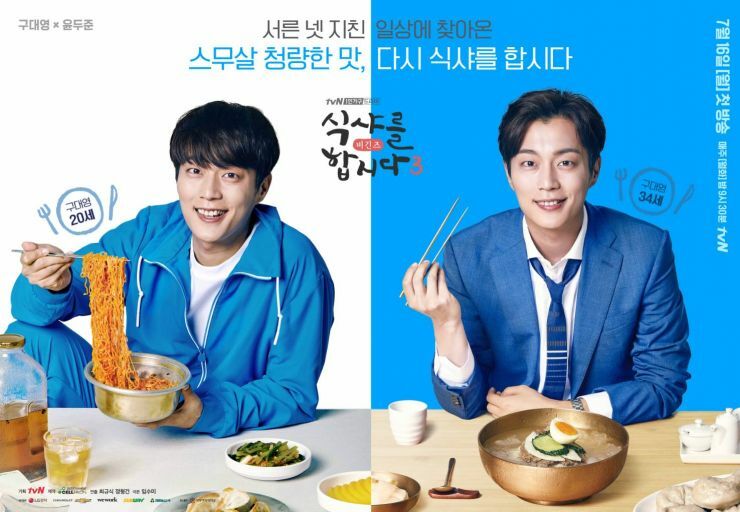 Goo Dae-Young (Yoon Doo-Joon) falls into a lethargic slump, losing his motivation at work and only has his food blog as a source of comfort. He decides to move homes when painful memories from the past 2 years become unbearable. He meets his college friend, Lee Ji-Woo (Baek Jin-Hee) coincidentally and decides to become her neighbour, revisiting the past and his former college days when life was vibrant and full of good memories. Dae-Young's foodie status started off in college, with Ji-Woo as his mentor and although she's lost her palette and enthusiasm for food, Dae-Young wishes to rekindle her love for food while catching up on a friendship that began 12 years ago. There's so much to say and opinions swimming online as to this third season, and I hope to cover the main concerns out there. 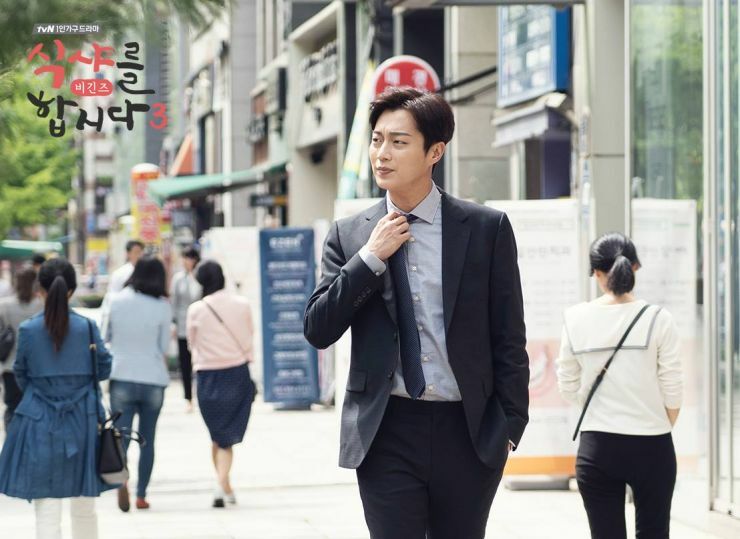 To begin with, many people are upset about the setup for yet another romance between Goo Dae-Young and the female lead and the ways in which they went about writing off Baek Soo-Ji (Seo Hyun-Jin). I agree that it's abrupt and extreme but I'm also of the opinion that Soo-Ji's absence is needed for Dae-Young to have character change of his own since he's been in a good spot for the previous two seasons, and its been his female counterparts who required his food knowledge and interference for personal growth. There's the idea of more emotional wounds and an actual story plot this time around with food as a means of comfort and healing. The first two seasons weren't as serious with plot-lines that were stagnant or missing something from time to time. Don't get me wrong, I loved the first 2 seasons despite their failings or similarities, but I think the changes this time aren't necessarily a bad thing but are rather welcomed. The show stays dedicated to the concept of mukbang while giving us characters that are more well rounded, needing food and the social settings it brings people to deal with everyday issues, in a light but still emotionally compelling manner. So it's not just about going out for food just because someone's looking for the hottest restaurant.The show does that and more since some dishes bring back memories; recollections of people or places that have been vital to a character's life. Anything from a home-cooked meal made by mom to a birthday lunch out with siblings and friends, they all have meanings and create a collection of youthful remembrances. I like the idea of going back and forth between college days of the past and the present so we get a story progression of how our characters have changed. 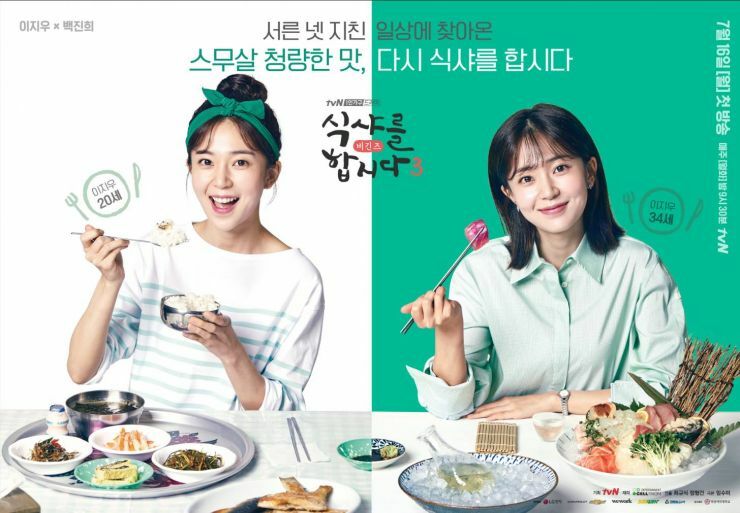 In Ji-Woo's case, she's become a Nurse with little to no time to appreciate food or have proper meals and there's hints of a hurtful past that have changed her outlook on eating meals as a whole since a large part of Korean culture centres around eating with others. It's refreshing to see the insight we get from her berating Dae-Young on the secrets to meals and being a holy food lover's guide during her college days. Her career as a Nurse is probably more meaningful and has more significance compared to the female leads of seasons 1 & 2 so I appreciate the Writer's awareness of delving into the characters further to provide more substance. I also enjoy the ensemble of college friends, since they all have great synergy and the feeling of nostalgia truly comes across. And unlike the first 2 seasons, I find this one less predictable with its present setting. Ji-Woo's step-sister, Lee Seo-Yeon (Lee Joo-Woo) has an interesting story arch of her own which contrasts to that of the past, and it's clear bitter feelings have formed between the two sisters so it's nice to see sibling conflict that isn't revengeful as a theme (thank goodness the show isn't a melo!) The romance between the second leads seems to be quite interesting as well, and I hope it does develop since Lee Joo-Woo and Ahn Woo-Yeon definitely have chemistry and I've thoroughly enjoyed their performances in their former projects. Secondary characters in the preceding seasons created some sort of conflict between the leads, but I think this season aims to focus on sibling animosity while keeping romances separate, avoiding a love square (that's my initial feeling from seeing episodes 1 & 2 so I hope I'm right). And it's obvious that the Writer's main focus is on Dae-Young who's tryng to rediscover himself and the things he wants in life, even in his thirties. It's a new season which promises to start a new chapter of his life for both the character and the viewers. The premiere on its own is solid, with cinematography that is so on point that watching the food onscreen becomes unbearable; I've drooled a few times, I confess. Frankly, I'm simply content with having Dae-Young back to be the foodie who gives me lectures while making me green with envy with all the food he eats.